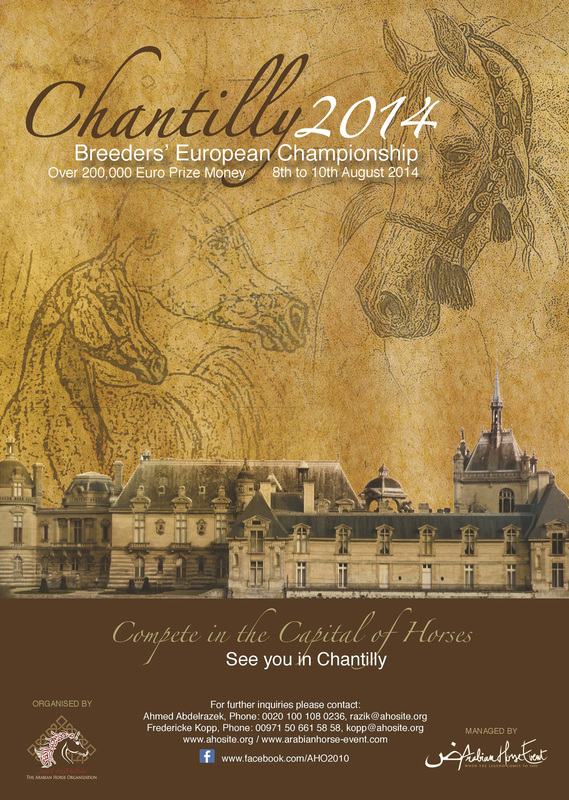 On the 9 and 10 August 2014 the European Breeders’ Championship will take place for the second consecutive year at Chantilly. The show for Arabians is open to horses born and bred in Europe and wholly owned by European breeders. Horses are judged standing, walking and trotting according the following criteria: type, head, neck (with separate marks), conformation, legs (with separate marks for posterior and anterior) and movement. Each mark which differs by more than 1.5 points from the average mark will be eliminated, which should ensure cohesion in the ranking. 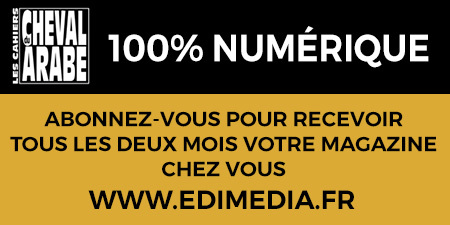 - Trophies: 5000 Euros for the best breeder and 5000 Euros for the best handler. This show is organised by AHO, which regroups the breeders of the Arabian countries (Middle East and North Africa). The 2013 edition at Chantilly was already successful as 140 horses were entered, representing 85 breeders from Austria, Belgium, Denmark, France, Germany, Italy, Holland, Norway, Poland, Russia, Spain, Sweden and the UK. Entries will open on 1st June and close on 15th June.